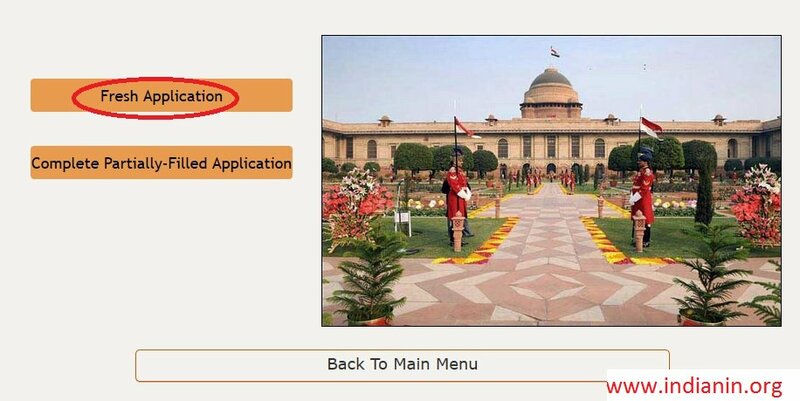 Go to the official website of Online OCI Services under Passport govt website. 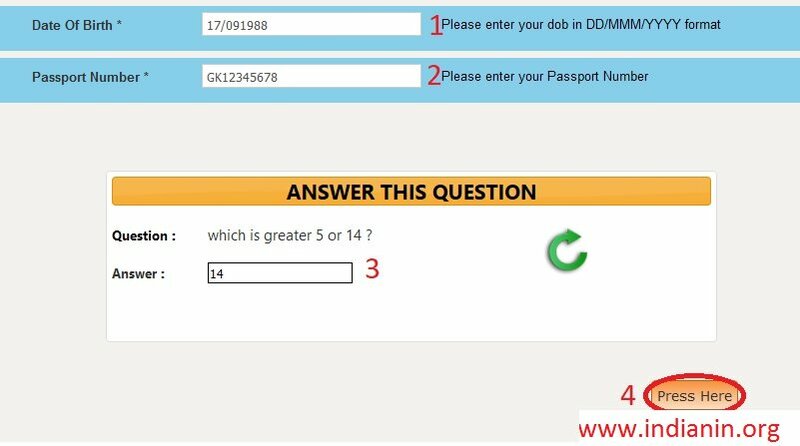 This website is only for NRI applicants. Click the tab link OCI-Enquiry as shown below. OCI Status-Enquiry avails you the current status of your OCI-Application. Click the link available to view your application status. It will take you to the status page. There you need to provide all the required details to know your status. The link is available in the OCI status Enquiry page. OCI-Registration is an online process. Eligibles are supposed to register through the appropriate link given. Only after complete successful registration, an applicant will be considered as an OCI-Card Applicant. Application for registration as OCI can be made Online. Before filling the application, Instructions may be perused so that there is no mistake in submission of application. To apply for OCI, click the link OCI registration link as shown below. 1. Start registration as OCI-Registration(In Lieu Of valid PIO Card) and fill all details required. 2. 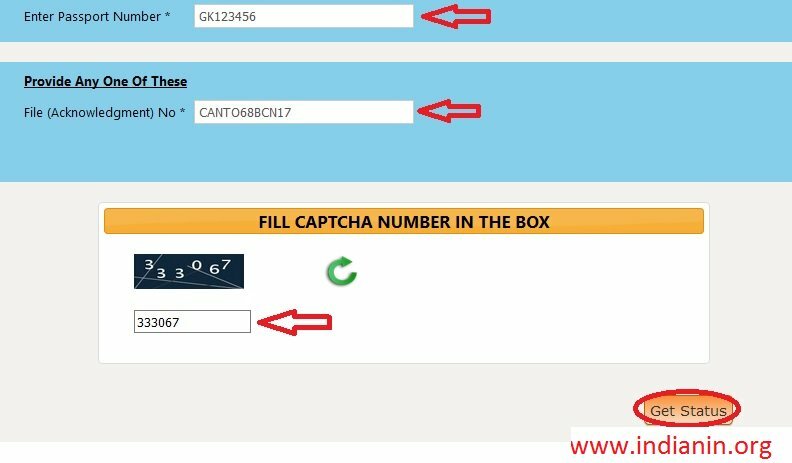 Provide Valid PIO-Card details at the place specified. 3. Complete Part-B of the registration process. 4. Documents supporting your application are to be uploaded in PDF format at the end of Part-B. 1. 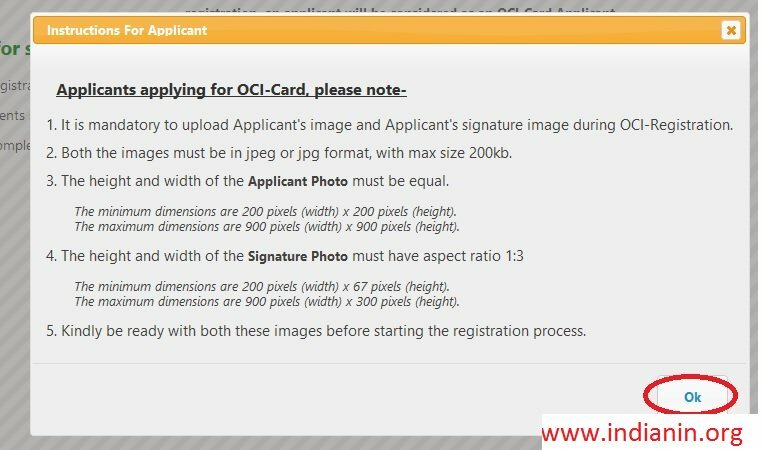 It is mandatory to upload Applicant’s image and Applicant’s signature image during OCI-Registration. 3. The height and width of the Applicant Photo must be equal. If you are ready with above documents clcik ok button. 1. Start registration from Part-A, then upload Image and signature; and finally complete Part-B..
2. Documents supporting your application have to be uploaded in PDF format at the end of Part-B . 3. After completing application, hard copy has to be be submitted to the selected mission’s office. 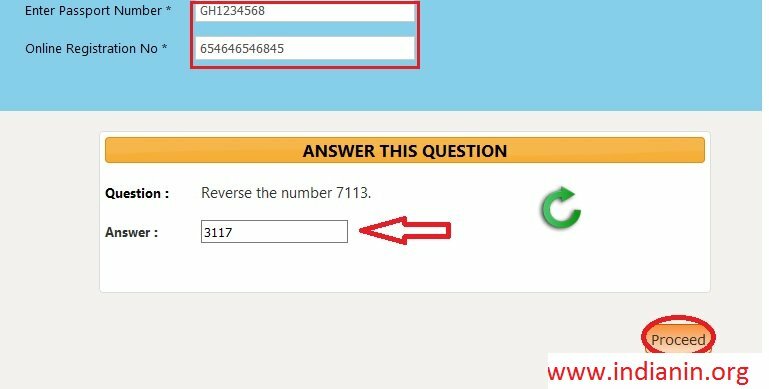 Answer the question provided and click enter button. 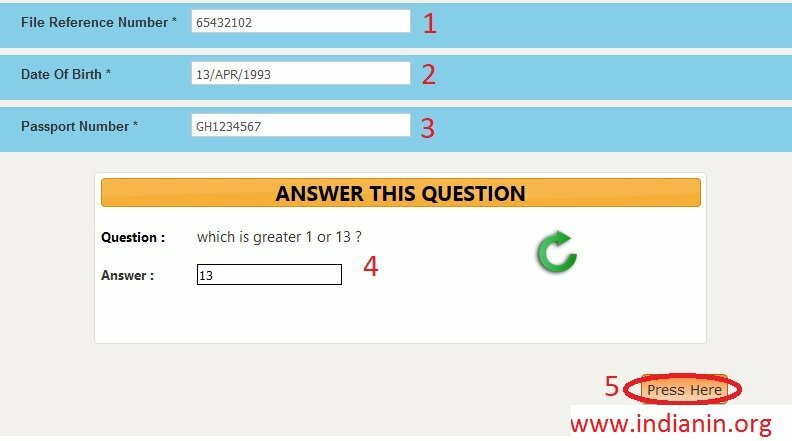 Select One Of The Following Options As Per Your Requirement. Click the link Reprint OCI Registration Form available in the OCI online Services page. To reprint the PDFs of your Online OCI Registration, You are requested to provide following registration details. Online Image Upload/Re-upload for OCI-Registration is available only for the Applicants which have successfully filled PART-A and PART-B Forms. 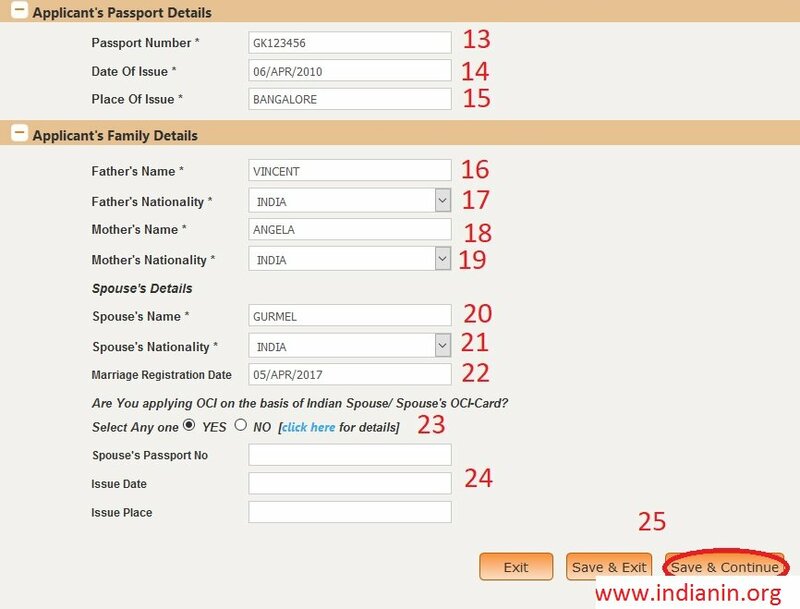 Can the spouse of the eligible person apply for registration as OCI Cardholder? Whether applicant(s) have to go in person to submit the application (s)? Whether the applicant (s) have to take oath before the Counsel of the Indian Mission/Post? Would the Indian civil/criminal laws be applicable to persons registered as OCI Cardholder? 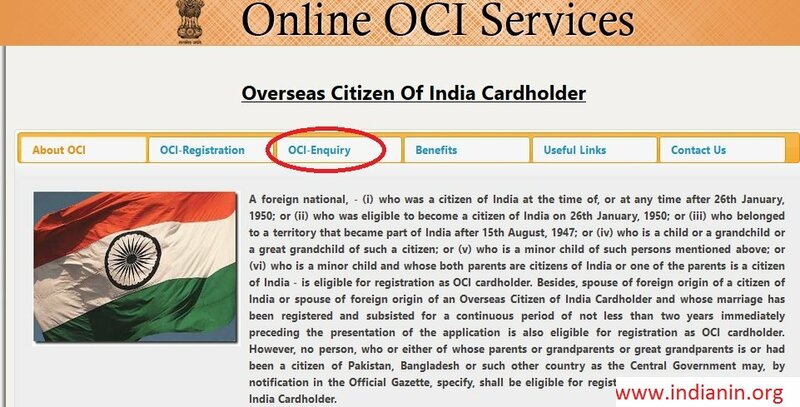 If a person is already holding more than one nationality, can he/she apply for registration as OCI Cardholder? 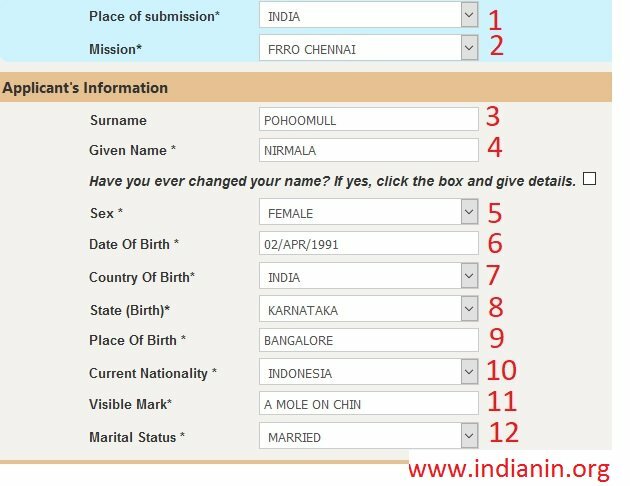 Whether an OCI Cardholder be entitled to apply for and obtain normal Indian passport which is given to a citizen of India? Whether nationals of Commonwealth countries are eligible for registration as OCI Cardholder? My passport application number is 542608928. Let me know its status.